You can now schedule your emails in Gmail to be sent at a later date and time. We’re launching this feature on Android, iOS and Gmail on the web. Just write your email as you normally would, then schedule it to be sent at a more appropriate date or time. This gives you greater control, allowing you to shift your work time to wherever and whenever is most convenient to you and your recipients. Additionally, it’s even easier to collaborate globally, allowing you to work across time-zones while still respecting everyone’s digital well-being. 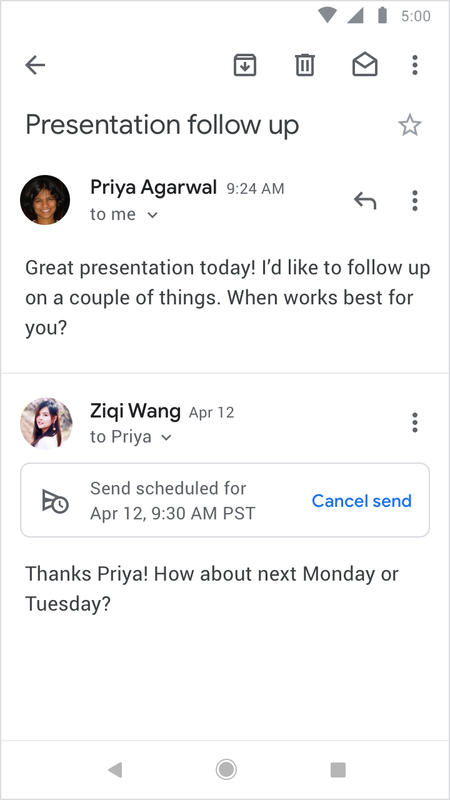 End users: When drafting an original email or reply in Gmail, you’ll now see an arrow next to the “Send” button. Clicking this arrow now gives you the option “Schedule send” option. After clicking “Schedule send”, you can pick the specific date & time you’d like the message to be delivered. 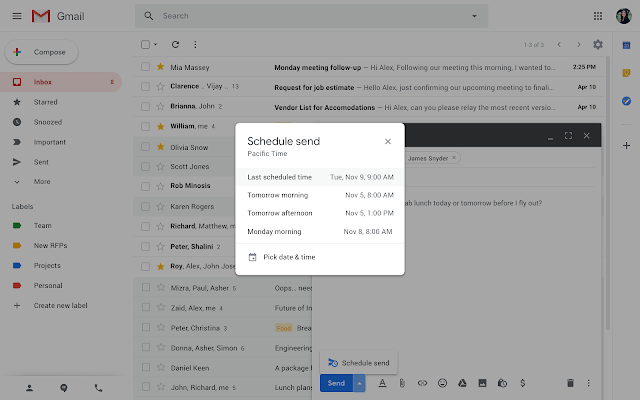 With this launch, we’ll also be adding a “Scheduled” folder in Gmail. Scheduled messages will appear in the “Scheduled” folder while queued to be sent.